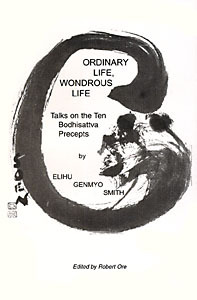 "Ordinary Live, Wonderous Life", is published by Prairie Zen Center and can be acquired by contacting PZC at pzc@prairiezen.org. "It is because we are this self-nature that is inconceivable wonderous that we are able to struggle, attain, realize and be this ordinary life." 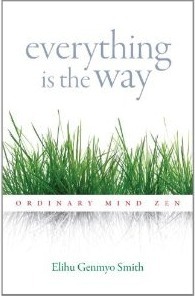 Genmyo's latest book, "Everything is the Way: Ordinary Mind Zen", is published by Shambhala and is available HERE, elsewhere on the WEB, at your local bookstore and at PZC. "Everyone is living the Way. This is so whether we know it or not, whether we want to or not, whether we are making efforts to do this or not, and whether we are skillful or not." Charlotte Joko Beck offers a warm, engaging, uniquely American approach to using Zen to deal with the problems of daily living—love, relationships, work, fear, ambition, and suffering. Everyday Zen shows us how to live each moment to the fullest. There is also a Plus edition available which includes an interview with the author. This book can be ordered via Amazon by clicking on the title to the left. In her book, Nothing Special, Joko Beck shows how to make living itself a spiritual practice and how to discover that the extraordinary is really "nothing special." 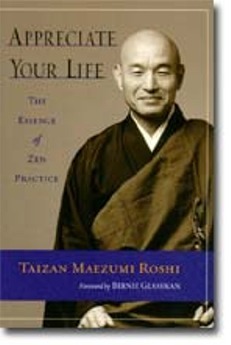 This is the first major collection of the teachings of Taizan Maezumi Roshi (1931-1995), one of the first Japanese Zen masters to bring Zen to the West and founding abbot of the Zen Center of Los Angeles and Zen Mountain Center in Idyllwild, California.